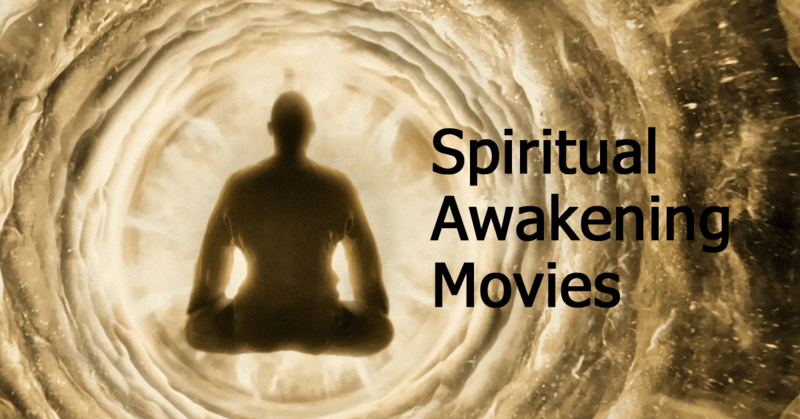 In this article, I share with you some of the best spiritual awakening movies that I have seen, some of these movies has given me an insight of the spiritual awakening process and the effects of using our expanded consciousness and extrasensory abilities to elevate change in others, ourselves and the world. Each movie shares philosophical insights of the inner workings of the human consciousness and the driving force that motivates our thoughts, behaviours, actions and in our daily lives. Check out the movies and let me what you think by leaving a comment below. Award-winning documentary about the Hindu swami who brought yoga and meditation to the West in the 1920s. The documentary talks about meditation and being one with our higher selves. A supernatural film that follows three different people and their responses to death. A psychic who is unable to shut off his gift of knowing, a woman who has an Awakening after a near death experience, and a little boy who looks for the truth about what has happened to his brother after death. A genius who is home schooled and shunned after his last relative dies shows residents of his town about the connection with each other, awareness and the generosity of the spirit. The Fountain connects two people throughout three lifetimes, the past, present, and future in search for eternal life. An man experiences a sudden expansion of consciousness, and psychic and telekenetic abilities after seeing a strange light in the sky. A computer hacker learns about the true nature of his reality and his role in the war against its controllers. A gymnast who shatters his leg in a car accident. Meets a spiritual guide, that teaches him that happiness is being present in the moment and love what’s right in front of him. A grieving man receives a mysterious, personal invitation to meet with God at a place called “The Shack. Spiritual awakening symptoms occur when there’s a lot of spiritual energy moving through the physical body. Your physical body does not have enough capacity to contain the energy being received, so it needs to release the unneeded or excess energy. To do this we need to ground ourselves, grounding means to allow ourselves to be fully present here with our physical bodies and physical reality aspect. We entrain with the frequency of the earth itself, your body becomes more relaxed as you tune into that frequency. Grounding is the perfect remedy for anyone who is feeling dizzy, space out, drained, confused, overwhelmed, panicked, or angry. 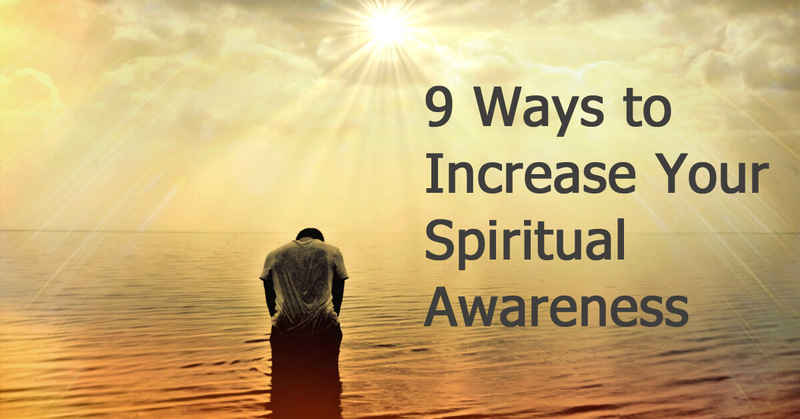 Below are some tips on how to manage your spiritual awakening symptoms. 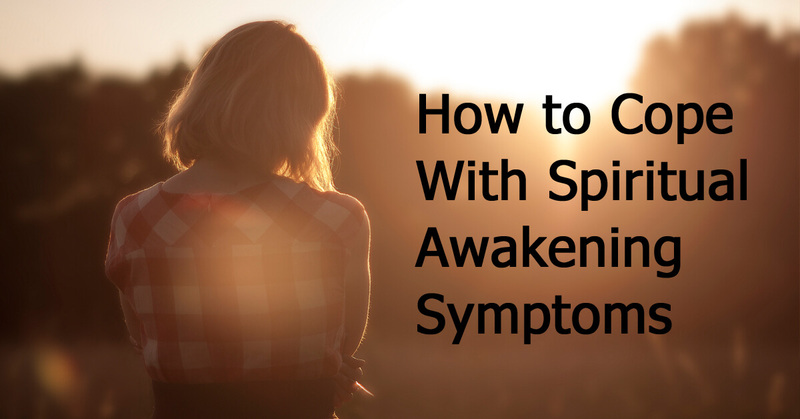 I Hope what I share helps to ease your spiritual awakening symptoms. Keep a journal of your spiritual awakening symptoms. write about what happened during the day, your thoughts, feelings, experiences, and possible triggers. when you look back on what I have written, you will notice patterns and possible triggers that may have caused or aggravated your symptoms. Anything that grows under the surface of the earth, will help you connect with earth’s energy. vegetables such as potatoes, sweet potatoes, turnips, carrots, beetroot, and radishes. Cleanse your aura and your physical body by soaking in a steaming tub of water with sea salt, Himalayan salt, or Hawaiian salt. Sit for about 20 minutes. Go to the park or your garden and hug a tree. Place your arms around the tree and feel your energy combine with the tree’s energy. Silently in your mind, say, “I am now grounded, thank you.” Imagine the unwanted energy flowing out of you, and is being sent down the tree roots into the ground. Continue until you feel you are grounded. Walk barefoot on the earth. You can also work with your hands in the earth and sit or lie down on the ground. Colours are also energy, wearing colours such as red, black or brown, will help you feel grounded or you can also have the colours in your surroundings. Use these essential oils for grounding tea tree, myrrh, cedarwood, vetiver, patchouli or lavender. Get a 50ml or larger glass spray bottle. Fill the bottle with spring water, drop a few drops of essential oil. Shake it up and spray it on yourself. Native Americans use smudging in their healing ceremonies to cleanse any negative or residual energy. Use white sage or Satya Sai Baba Nag Champa. Light the smudge stick and use your hand to direct the smoke over your head, face, front/sides of your body, under your feet, around your hands and arms, and as much of your back as you can reach. You can also use smudging to cleanse environments or objects. Do any activity that keeps you in the present moment. Do something you are passionate about and enjoy like spending time with family or friends, watch a movie, create something or learning something new. Read this article on how to start living in the present. A spiritual awakening is triggered by some kind of event in your life. Such as a passing of a loved one, participating in spiritual development events/workshops, visiting sacred places, it could me anything each and every spiritual awakening experience is entirely different, unique and specific to the individual. For me my spiritual awakening happened after, I went to a psychic development workshop. I believe my spiritual awakening happened because it was the right time in my life to start fulfilling my soul’s purpose. Below are some of the spiritual awakening signs and symptoms that I have experienced. I Hope what I share can validate what you’re going through. Within my mind’s eye and with my physical eyes, I repeatedly saw complexed sacred geometry and ancient symbols. One of the symbols I saw was a spiral which is the oldest symbol known to be used in spiritual practices, reflects the universal pattern of growth and evolution. Within in a week of my spiritual awakening, my body rapidly lost weight. I could see more clearly with my right eye, the volume in my right ear lowered and occasionally had heart palpations. I experienced an increase in synchronicity. The universe likes to communicate in repetition. They use people, symbols, numbers, songs and objects to send a message that may be repeated so that you will take notice. I wake up several times during the night between 2.00am – 4.00am. In the bedroom, I can hear whispers or sounds and perceive smells and scents when there’s no one physically in the room. I can sometimes smell perfume, flowers or food, these scents are originated in the spirit world and are used to help alert us to the presence of spirits. A specific scent was connected to a person who has passed on. I hear high pitched sounds and voices in my right ear, it can happen anytime during the day or night. On occasion I have meaningful dreams, I would receive knowledge, information and advice. I receive messages from my higher self, guides, love-ones, ascended masters and angels. They communicate using one or more of our six human senses. I had a sudden desire to eliminate and reduce my intake of certain foods and drink that my body no longer needed to consume. I am very sensitive; anything negative has an effect on my energy. I have stopped watching the news, reading newspapers and limit the time I spend around negative people. I manage to discover my life purpose and soul mission by tapping into my intuition. I have bouts of unexplained depression or persistent anxiety and sudden waves of sadness, joy, frustration and various other emotions. I feel dizzy, spaced out or overwhelmed, at times. This is the natural reaction of the physical body to intense energy moving through it. Your physical body does not have enough capacity to contain the energy being received, so it needs to be released. I have a yearning to discover who I am and to awaken my true potential. So I practice and study meditation, spirituality, psychic development, spiritual healing and personal development. Sometimes have a strong desire to go home, and reconnect with my spiritual self. Note: Let me know what you think. 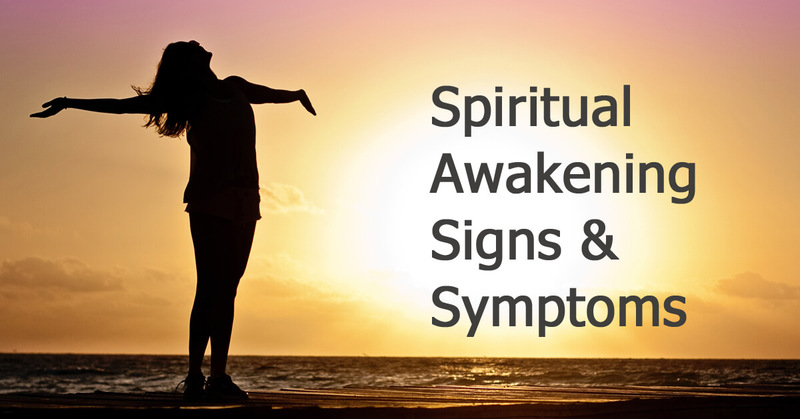 If you have experienced any different spiritual awakening signs or symptoms. Leave a comment below.